A Chinese company is pushing the boundaries of what drones can do out over the sea. 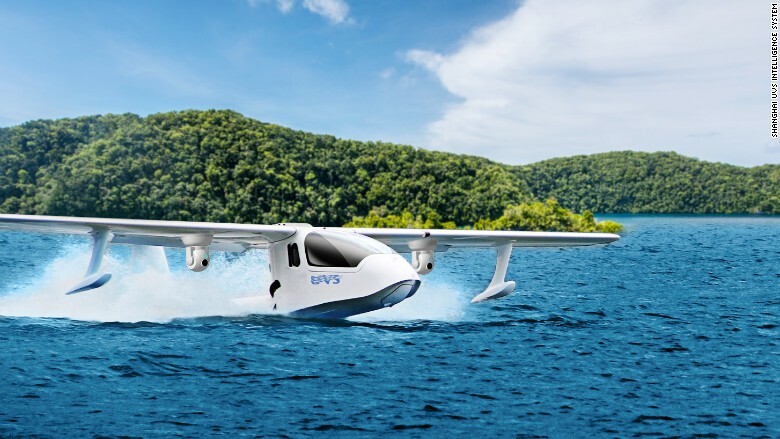 Shanghai UVS Intelligence System is set to become the first company in the world to bring to market a commercial drone that's able to take off and land on water. 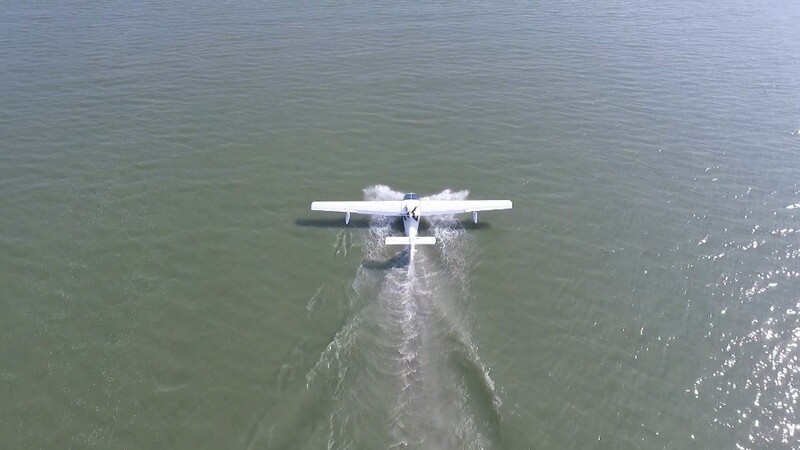 It says the roughly 20-foot long unmanned seaplane, known as the U650, could be used by businesses and the military. The U650 drones should be rolling off factory production lines in Shanghai by the end of the year, a company spokeswoman told CNNMoney. That would put UVS ahead of other firms that have developed amphibious drones but haven't yet moved beyond prototypes into production, according to analysts. The U650 can stay in the air for up to 15 hours, flying as far as 2,000 kilometers (1,240 miles), according to the company. But heavy cargoes will reduce those numbers. UVS sees delivery firms as one set of potential customers. Like Amazon (AMZN) in the U.S., Chinese e-commerce companies like JD.com (JD) are aggressively pursuing the use of drones in their supply chains. UVS Intelligence System said it has contracts with several clients, but would not disclose further details. The U650 can carry up to 550 pounds of cargo, but it will face limits on where exactly it can go. Because of its size, the new drone won't be able to fly in the same airspace as manned aircraft, which will "restrict a lot of potential use," said Kelvin Wong, an analyst with research firm IHS Markit. The U650 may also appeal to the Chinese government, which has been building up man-made islands in disputed areas of the South China Sea. The drones would be able to carry out surveillance and deliver supplies, which "comes in handy because you don't have a lot of runway in those environments," Wong said.